"We make no secret of the fact that we are a hugely specialist set of businesses, but far from that being a limiting factor, our adaptability and determination have made us restless, dynamic and inventive. 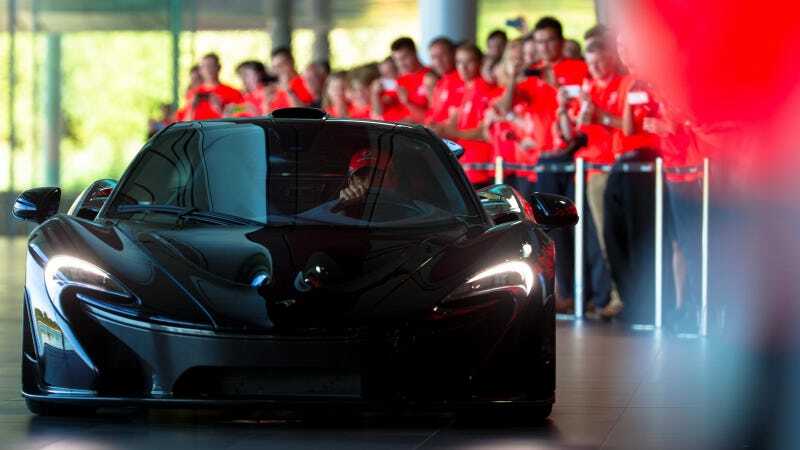 The company marked its 50th anniversary today by throwing a celebratory event at the MTC for all 2000 staff, who witnessed the historic running of a number of iconic McLaren vehicles, driven – among others – by Vodafone McLaren Mercedes grand prix drivers Jenson Button and Sergio Perez. The evening will be marked by the world premiere in London of the new Hollywood movie Rush, where McLaren will have a significant and symbolic presence. Since the start of the year, McLaren has been running a campaign of 50th anniversary-related events – which kicked off with the running of some of the our most iconic racing machines at the launch of the Vodafone McLaren Mercedes MP4-2Formula 1 car in January. Those machines also travelled to Silverstone, ahead of the British Grand Prix, and to Goodwood’s renowned Festival of Speed, where they thrilled fans and enthusiasts with their recreation of McLaren glories past. Our Tooned animated series has also commemorated the anniversary with a string of cameos from some of our great champions, including Emerson Fittipaldi, Mika Hakkinen and Ayrton Senna – whose voice was brought to life by his nephew, McLaren 12C GT3 racer, Bruno. In Monza, the team will officially commemorate its 50th anniversary with the Formula 1 community.